Kevin is a Chartered Surveyor, Chartered Civil Engineering Surveyor and Chartered Builder with almost 30 years’ experience managing complex projects and programmes of work in Wales and Borders. Kevin has extensive operational and commercial management experience as both client and contractor. With a proven track record of delivery within the construction and infrastructure industry, Kevin has a well-rounded understanding of the relationships and organisational challenges involved in the delivery of major work programmes. 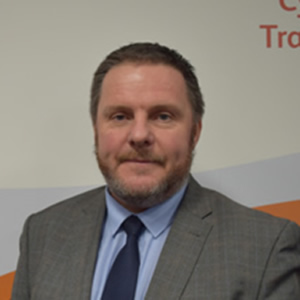 Kevin’s responsibility as Route Delivery Director for Network Rail is for the safe, efficient and timely delivery of the Control Period 6 renewals programme and major rail enhancements in the Wales Route, as well as being a member of the Wales Route Executive Team.